May 11, 2018  President Trump and Sarah Palin were among figures on the right targeted by outreach from Alexander Torshin, a Russian official recently sanctioned by the U.S., according to documents obtained by NPR. 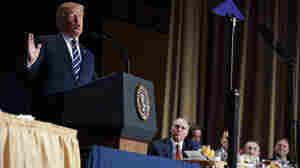 February 8, 2018  The president spoke at the 66th annual National Prayer Breakfast, largely sticking to his script a year after using the event to talk about TV ratings. February 5, 2015  The president said that God never justifies the killing of innocent people. He also referred to the Dalai Lama, who attended the National Prayer Breakfast for the first time, as his "good friend." February 7, 2013  The president said he worries that "as soon as we leave the prayer breakfast, everything we've been talking about the whole time at the prayer breakfast is forgotten." 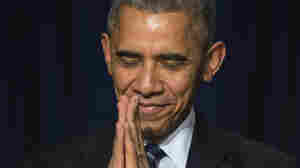 He and other leaders, Obama said, need to retain the "humility" they express when praying. 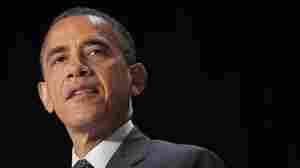 February 2, 2012  Obama made a number of statements grounded in the religious imperative to help the poor. It's not surprising that he would make such observations at a prayer breakfast. 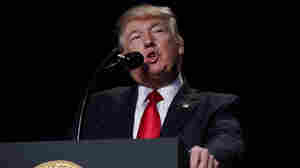 But there appeared to be more of an emphasis on society's obligation to the poor in Thursday's version of the prayer breakfast speech than in the past. February 3, 2011  Kelly said his wife "gets a little bit better" every day. And he hopes some good comes out of the shooting tragedy in Tucson.